Suné Woods is interested in the breadth of intimacy and how it is achieved and relayed through interpersonal relationships and political events. She considers our capacity for immense love and, at the same time, unrelenting violence. Woods uses familial dynamics, speculative narratives, and historical happenings to further underscore this potency. Her video installation, Aragonite Stars, contemplates bodies of water, bodies in water, and bodies without water. Water, as a conduit, speaks to spiritually perceptible realms in which many indigenous mythologies are located. These traditions historically have been used to explain human relationships to water. Ecological shifts caused by global capitalism have endangered species that inhabit the oceans and generations of cultures whose physical and spiritual existence rely on the sea. 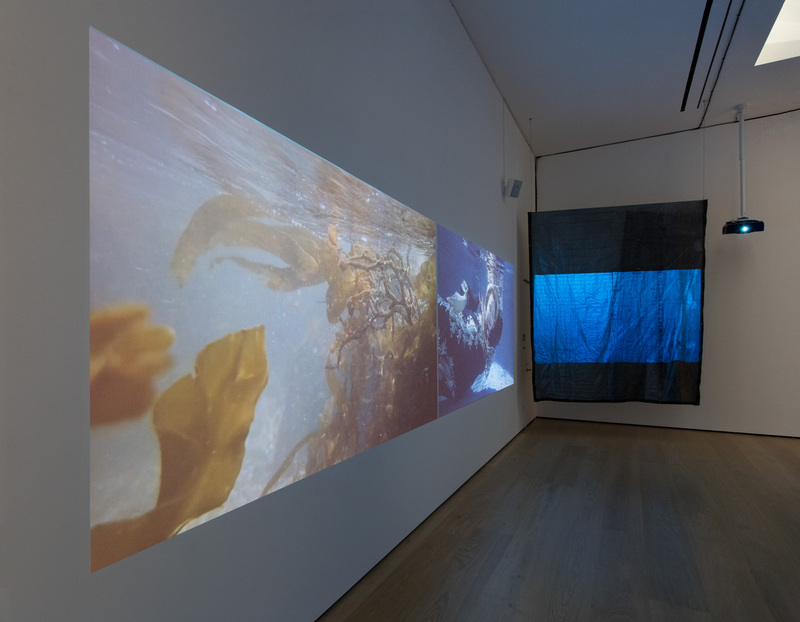 Woods expands upon these environmental concerns by incorporating used tarps throughout the installation as a way of repurposing a mass-produced material that commonly fluctuates between disaster relief, construction zones, and industrial sites. The moving images for Aragonite Stars were partly made in curative waters in Southern California, such as hot mineral springs. As Roger Sunpath, an elder of the American Indian Sacred Society, notes of one such site, “Desert Hot Springs is a convergence of five energies: Earthquake faults, geothermal underground water, mountain peak alignments, wind and sun energies. Ancient peoples made pilgrimages to these locations because they were believed to be sacred sites. 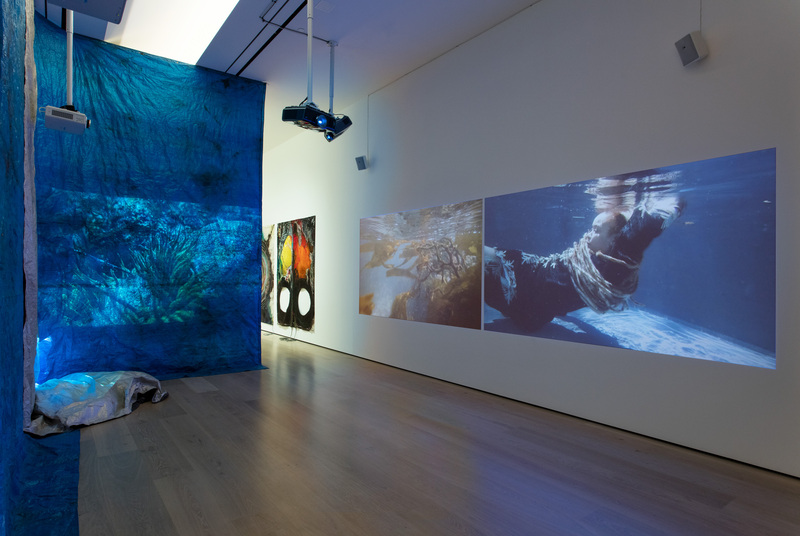 Many of the ceremonies performed in these locations involved the four elements—earth, fire, water, and air.” Aragonite Stars utilizes waterscapes to speak about existence, notions of intimacy, and relationships to aquatic ecology. Suné Woods (b. 1975, Montréal, Canada) works in the Mid-Wilshire neighborhood of Los Angeles. Woods received her BFA from University of Miami, in 1997, and MFA from California College of the Arts, in 2010. Her work has been included in exhibitions at Light Work, Syracuse, New York (2017); Everson Museum of Art, Syracuse, New York (2017); Urban Video Project, Syracuse, New York (2017); Papillion Art, Los Angeles (2015, 2014); Commonwealth & Council, Los Angeles (2015); 18th Street Arts Center, Santa Monica, California (2012); Center for the Arts Eagle Rock, Los Angeles (2012); Performance Art Institute, San Francisco (2011); and Arts Commission Gallery, San Francisco (2009), among others. 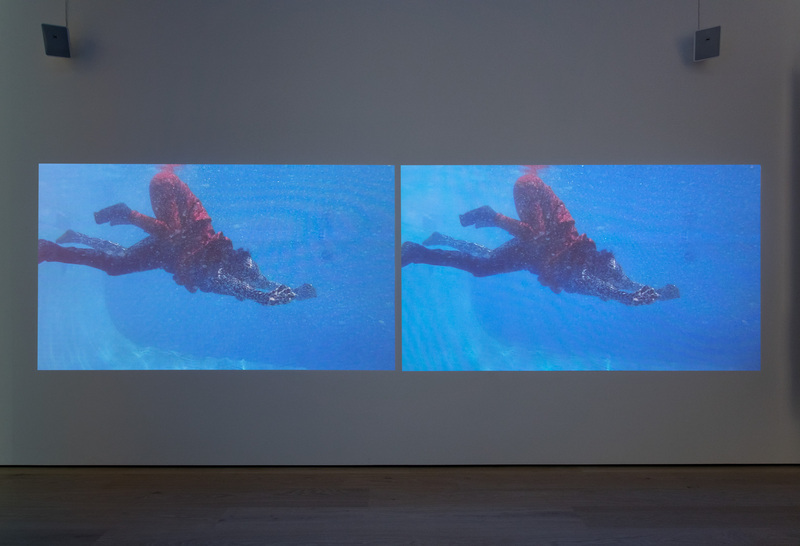 She has had residencies at Light Work (2016), Center for Photography at Woodstock (2015), Vermont Studio Center (2014), and Headlands Center for the Arts (2012). She is a recipient of a John Gutmann Photography Fellowship Award from the San Francisco Foundation (2015), Visions from the New California Award from the James Irvine Foundation (2012), and Murphy and Cadagon Fellowship (2009). Music & Performance Suné Woods, Fred Moten & James Gordon Williams, You are mine. I see now, I’m a have to let you go.